We changed our name to "Finfluence". With a brand new app and more content, see you at www.finfluence.com. This book is a response to the immensely successful Getting Things Done by esteemed author David Allen. Spinning off of Allen’s premise of improving effectiveness by writing down tasks and keeping organized through simple work flow procedures, Better than Budgeting is a simple, proven means of providing understanding and financial self-actualization through similar methods. By promoting a step-by-step process on a daily, weekly, and monthly basis and fleshing out all financial aspects in a straight-forward manner, the practice of this book is to gather and understand an entire financial overview. 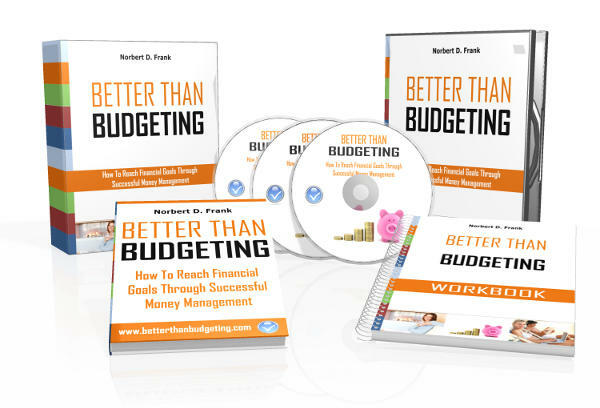 Once the reader understands those basic, essential skills, he/she can then move on to more complex, practical techniques of money management, from investments to overcoming common negative associations.